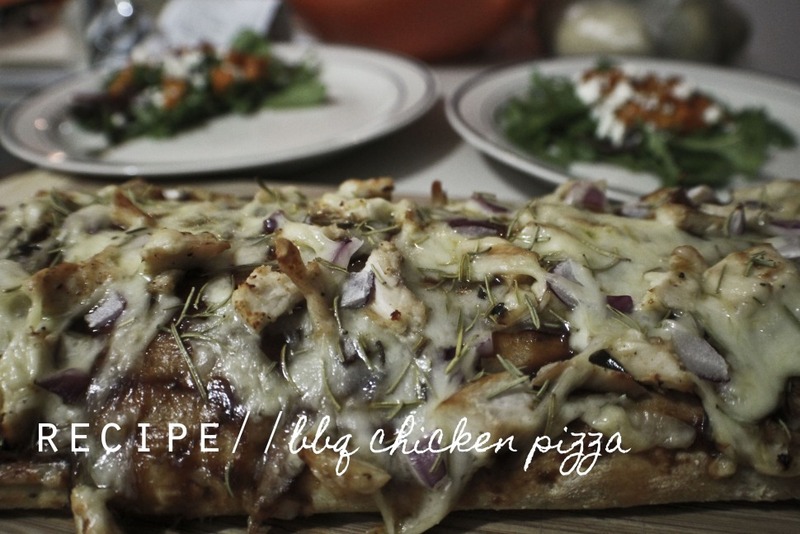 Ok I think it's safe to say this is my favorite pizza ever. the secret is to make it on a big loaf of turkish bread and sprinkle fresh rosemary, so yummy and so easy. bake in oven at 400 for about 10 minutes or until cheese is melted and it looks perfect! 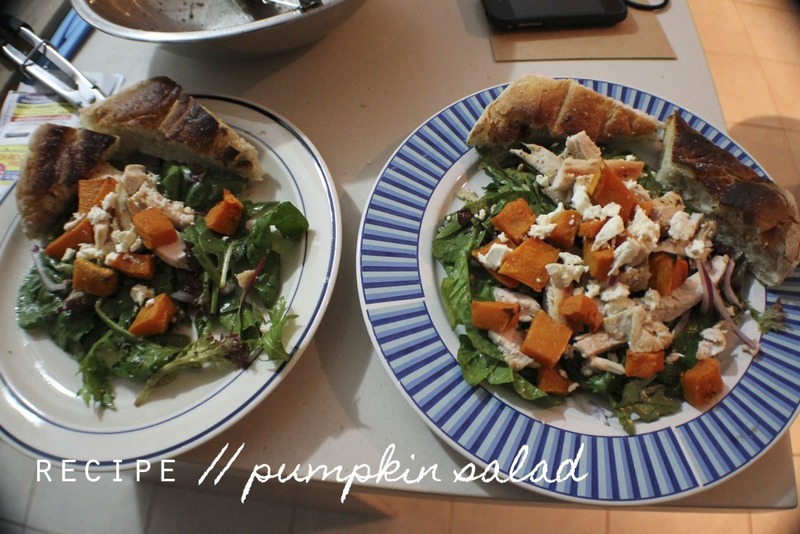 i made a yummy tossed green salad with baked pumpkin and feta and it paired perfectly, and made for an easy meal the next night, save half of the chicken and throw it in with a nice big salad topped with pumpkin, red onion, feta and walnuts, yum. make it to taste a bit of each but mostly vinegar and then oil, adding honey to sweeten and the ginger and garlic adds a bit of a kick, make it and let it sit for at least an hour so the flavours can blend together nicely!